Butterfly Reflections, Ink. : Please welcome our new Design Team members!!! Please welcome our new Design Team members!!! Hi, everyone. I hope you all had a Merry Christmas if you celebrate it and hope your New Year is off to a good start. I took some time off over the holidays and am finally caught up and feeling like I can breathe again. HAHA The kids went back to school this past week and things are getting back to normal. I'm also preparing to head to Phoenix for Creativation in a week and a half so that's exciting! So let's welcome our newest Design Team members joining us through April!!! Toni Maddox is an avid crafter who loves everything crafty and so does her cat. She says her husband is craft-tolerant which made me LOL. She loves experimenting and using techniques and products in unexpected ways. You might've seen some of her work in the past for Topflight Stamps or Craftin' Desert Divas and she just joined the Whimsy Stamps DT. I love her style! Kathy Schweinfurth and her honey, Mark, have been married for 23 years and have a beautiful daughter who is a college senior. 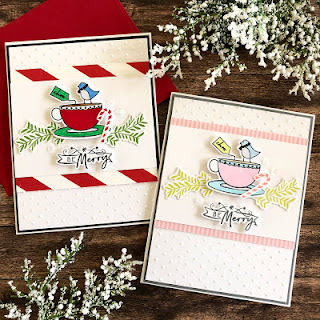 Stamping and paper crafting has been her passion for over 20 years and makes her happy! 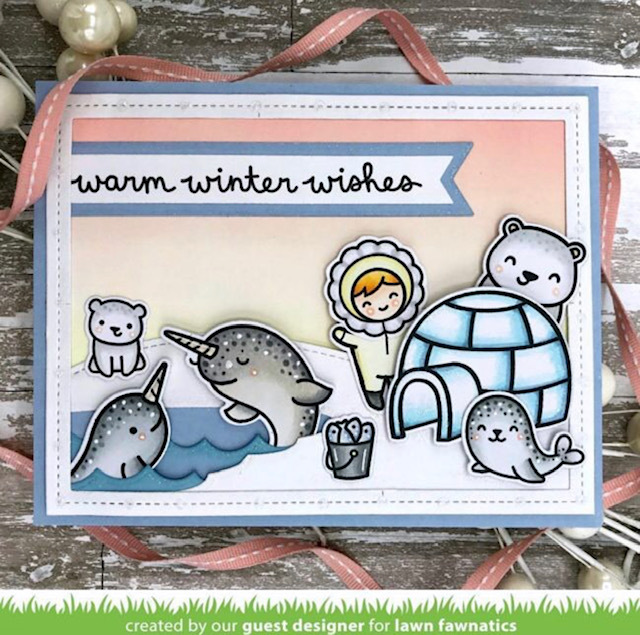 She has Guest Designed for Sugar Pea Designs, Whimsy Stamps and is on a few others including Reverse Confetti, Pink & Main and the Coffee Lovers' Cardmaking team. Ashley Dearie is a happily married mom of two redheaded boys, ages 2 and 5, from Washington State. She's been crafting for as long as she can remember, but papercrafting, cardmaking and gift giving are her favorites. Her husband also serves in the Army National Guard so she creates a lot of military-themed projects and overseas care packages. She's only recently started sharing her work publicly and has had several cards featured by Lawn Fawnatics and has been their Guest Designer since August 2018. I love her adorable scenes and fantastic coloring! Dana Kirby has been a paper crafter for over 20 years. She started as a scrapbooker when my oldest was a newborn much like myself. She started her blog a few months ago when she was asked to be on a DT and do a few projects for Technique Tuesday. She's been married for 23 years and has two college aged daughters so her and her husband are now "empty nesters" that are enjoying life at this next stage. She also just got picked to be on Pretty Pink Posh's Design Team which is so fabulous. Paulina's team is always cranking out beauties. CONGRATS on that, Dana!!! YAY!! Such an awesome team!! Congrats to all! Fabulous team!